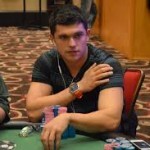 Valentin Vornicu, the professional poker/casino player from San Diego, United States claimed World Series of poker Bicycle Casino championship title. He won the event $580 no-limit hold’em turbo re-entry on Wednesday and collected the first prize of amount $17,255. 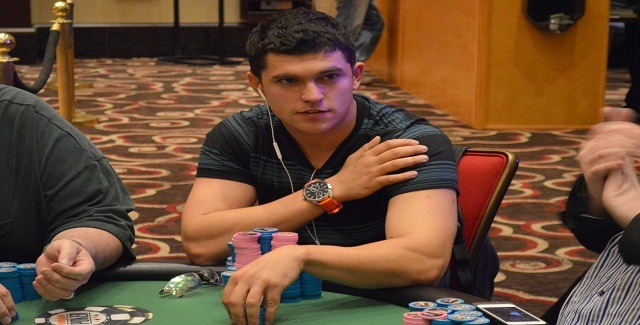 The tournament took place at Bicycle casino and attracted 115 players from all over America. 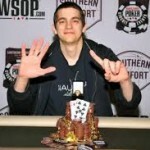 This is Vornicu’s eighth gold ring playing at World Series of poker circuit. He is now in a tie with other two player’s i.e. Ari Engel and Chris Reslock and both have eight gold rings with them. The only player above Vornicu is Alex Masek, who has nine gold rings with him, playing at different WSOP Circuit platforms. Vornicu was very happy, after winning this eighth gold ring at World Series of poker circuit and said that “it feels great when you play and win gold rings and I want to be the guy who has most rings”. It simply feels great and my goal is to win more and more gold rings. That’s why I have been here at Bicycle. I love to be here and at Harrah’s for all my poker needs, he added. This is a superb win for the player, who also secured the Casino Champion title for this period and got an automatic entry to the prestigious Global Casino Championship, which would take place later this year. He has already done this earlier (qualified for the global casino championship event) back in December, when he won his seventh gold ring and it means that he just qualified twice for prestigious Global Casino Championship, features top players like Matthew Waxman and Joe McKeehen. Out of eight gold rings of Vornicu, three are from Bicycle casino and rest of them (5) is from Harrah’s California. The first cash was for Event#1 of $365 No Limit Hold’em re-entry, where he made $2,945. Finished for fifth position and added $3,005 to his account for Event#5 of the same $365 No Limit Hold’em Turbo. He won the championship title and collected another gold ring (8 of his career) for event#12 and took home $17,255.